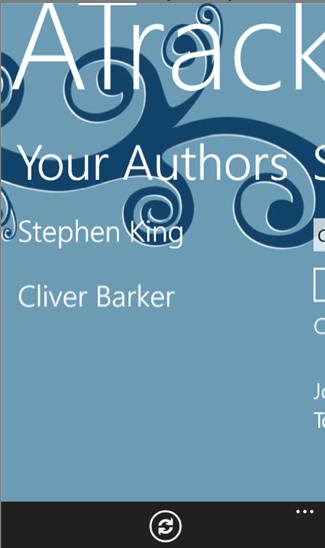 "ATrack allows you to track your favorite authors and keep up with their new releases. Search for your favorite authors, and add them your list to view the latest and upcoming releases. Click on the name of any book in your booklist to view more details. Upcoming versions will provide a background agent to alert you of new releases." Our own Adan Galvan has released his first Windows Phone app, and it's pretty cool if you're an avid reader who doesn't have the time to keep up on your favorite authors. ATrack will keep the list nicely organized, and let you find out what's new with just a tap. Future versions promise background notifications so you'll always know when your favorite authors have something new out! Looks interesting but unfortunately not available on the UK marketplace.